Quick! 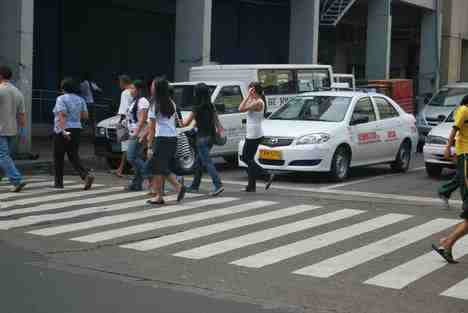 Answer me this question: Why do roads have pedestrian lanes? If your answer is so people can safely cross the roads, then give yourself a pat on the back. You are smarter than a fifth grader! There is, however, this pedestrian lane which I cross every morning when I go to work. It is a couple of hundred yards from one of the school’s gates, and crossing it is like taking a course on the Sociology of driving in the Philippines. I would say, off the top of my head, a mere three out of 10 drivers would stop and wave pedestrians through. 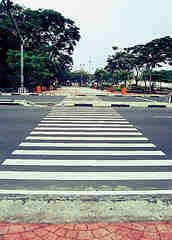 Pedestrians. Plural. My theory is that most drivers would not bother if there was only one person on the lane. 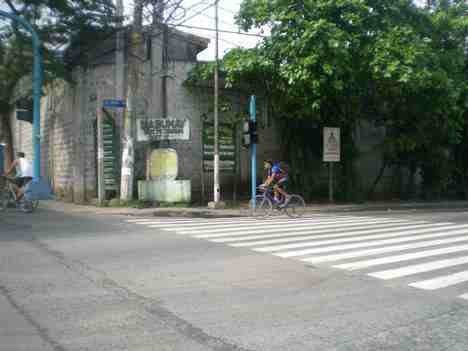 It goes without saying that it is always safer to cross when in the company of other pedestrians. I take my hats off to those who do step on their brakes to let people cross over to the other side of the road. The majority are apes who step on the gas instead! That settles the argument! 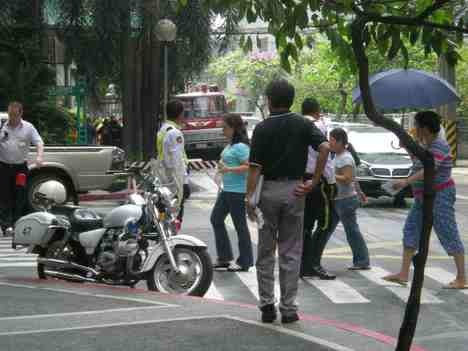 If police cars will not respect pedestrians on the pedestrian lanes, who will? More importantly, how many millions of pesos will local governments save if they stopped painting these lanes in the first place, since they do not seem to have any practical use? I believe, Johnny, that this is called sarcasm. I remember a German friend telling me in the mid-nineties, when he had just arrived in the country, that he almost got himself killed trying to cross a pedestrian lane. His expectation, of course, was that the drivers would politely stop to let him through. I could only shrug my shoulders and say, “friend, you are not in Germany…"
I think most of us cross these lanes because, although we all know how most drivers behave, we think, in the unfortunate event that we get involved in an accident, we have more chance of winning a lawsuit. If we don’t get killed, that is. But where did I read that, legally, a driver is not necessarily obligated to stop; and that guilt, in case of a road accident, is determined only if it can be established that the pedestrian took evasive action. In other words, a pedestrian is supposed to walk warily on the road and take evasive action if a car won’t stop, even if he or she is on the brightly painted lane.